Sima Sahar Zerehi – It started on Monday with a call from a photographer friend of mine who has recently moved to Canada from Iran. He was interested in capturing images of Nowruz festivities in Toronto and was asking about events and celebrations to cover. That got me thinking, when had I dropped the ball on properly celebrating Nowruz; from spring cleaning, buying new clothes for the holidays, Chaharshanbe Suri and Haft-sin (the traditional Nowruz spread) to the end of the holidays marked by the Sizdah Bedar picnic. I’m not sure when it happened. It was probably sometime after high school. Once we stopped having March Break we also stopped celebrating Nowruz. Reading week in university never fell in sync with the spring equinox and it became too hard to get together as a family, especially because my sister and I were going to school in Vancouver and my parents lived in Toronto. At first I tried to hold on to the tradition, the first day of spring couldn’t be left unmarked. I decided to organize a Haft-sin in my university dorm room with the help of my non-Iranian friends. Sensing my homesickness they willingly trekked to the Iranian enclave in North Vancouver in search of the essentials for my Nowruz spread. I had prepared a list of must-haves following a quick internet search and mandatory call to my mom. List in hand, we started scouring the almost empty shelves of the shops for sabzeh (sprouts grown to symbolize rebirth), Sonbol (Hyacinth plant), somaqh (sumac berries), samanu (a sweet pudding made from wheat germ), and golab (rose water) as well as Iranian sweets, nuts, bread and cheese. This was no easy task, with Nowruz only a few days away most of the shops had sold out their holiday supplies. But with perseverance and by begging a few storeowners to sell us items from their own holiday displays we were able to accomplish our goal. The other elements; garlic, apples, eggs, coins, a mirror and candles were easy enough to cobble together. Being in our vegetarian hippy phases we decided to forego the goldfish and opted instead for an orange floating in a bowl of water. My family’s Haft-sin usually included a traditional book of poetry such as the Shahnameh or the Divan of Hafez, but being short of Iranian reading material in my dormitory, I opted for a copy of my dad’s poetry book, which I always carry with me. I remember sitting in my dorm room that Nowruz, munching on Iranian sweets, while decorating hard-boiled eggs with my floor mates. It seemed like everyone in my residence was dropping by my room to nibble on Iranian flavoured sweets and listen to me recount stories about Iranian New Year traditions such as Chaharshanbe Suri; and Sizdah Bedar (the thirteenth day of the new year festival celebrated by family picnics). For a few years I kept that Nowruz tradition alive, I even dubbed it Nowruz at Nootka (the name of my dormitory), but when I moved out of student housing, the tradition receded. Without the support of the community of friends and housemates it seemed too hard to celebrate Nowruz. 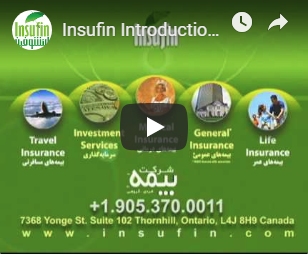 When my sister and I both moved back to Toronto, we tried to rescue our Nowruz tradition as a family, but it’s hard to find the time to celebrate when your family business is an Iranian newspaper with a special holiday edition and a huge Nowruz Gala. Either way it never felt like spring in March in Toronto. With snow still on the ground and below zero temperatures it was hard to muster the spirit of rebirth and rejuvenation. But this year spring has come early, true, it’s probably due to climate change, but the sunshine sure feels good. With spring literally in the air, I felt like I had no excuse but to give in to Nowruz. So far, I’ve missed Chaharshanbe Suri but as Hāji Firuz (our version of Santa Clause) is my witness I will not forego the Haft-sin. How are you celebrating Nowruz? With Nowruz on my mind I decided to ask some young Iranian-Canadian friends about their Iranian New Year traditions and how they’re planning on celebrating the holiday this year. “Now as an adult, I look to Nowruz as a chance to learn more about myself, my family’s history, and my relationship to what it means to be Iranian,” notes Ronak. This year Ghazal celebrated Chaharshanbe Suri with a group of Iranian-Canadians by gathering around a bonfire at a local Toronto park and posting photos on social networking sites such as Facebook and Instagram. Farzad admits that for his family the Nowruz tradition has eroded over the years. While Farzad and his family have stopped celebrating Nowruz together, he is still planning on marking the holidays by taking Iranian pastries to work to share with his colleagues and by getting together with friends at Banu, an Iranian vodka and Kabob bar on Queen Street West. To celebrate the holiday Sina is foregoing the big Nowruz events for a quiet evening with family and friends. 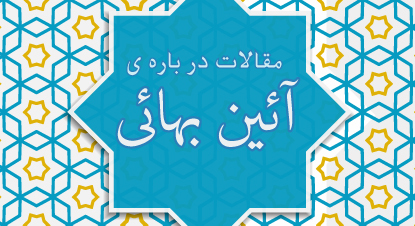 Help us learn more about how Tehranto celebrates Nowruz by sharing your holiday traditions. You can tell us about your Nowruz celebrations by sending us a note, a picture or a video clip. 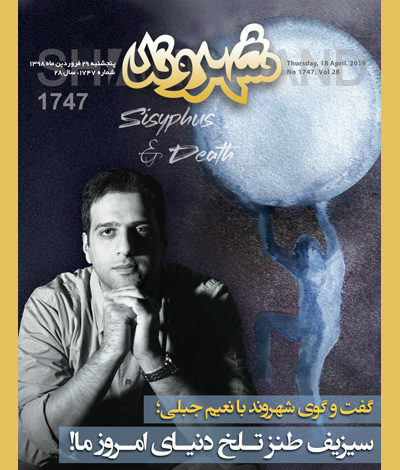 Send all submissions to sima@shahrvand.com or news@shahrvand.com or simply post your comments here . . .